The first link about slowing down handwriting speed is good advice though it isn’t always practical. However, this action does improve legibility and suits any writing that others must read. The last link is to an article about one of my favorite journal creators and includes several pages as well as a few of the fountain pens he uses. Enjoy! Poor thing. Some days it just doesn’t pay to get out of bed. Have you selected your rotation for Spring? Some years the inks select themselves. This year there were no volunteers. However, there are inks on my desk that have been pining for use and so they shall be obliged along with a few more seasonally suggestive entries. This Spring list is darker than in the past and lacks a pink or orange. Those colors are in storage while my office gets reorganized. 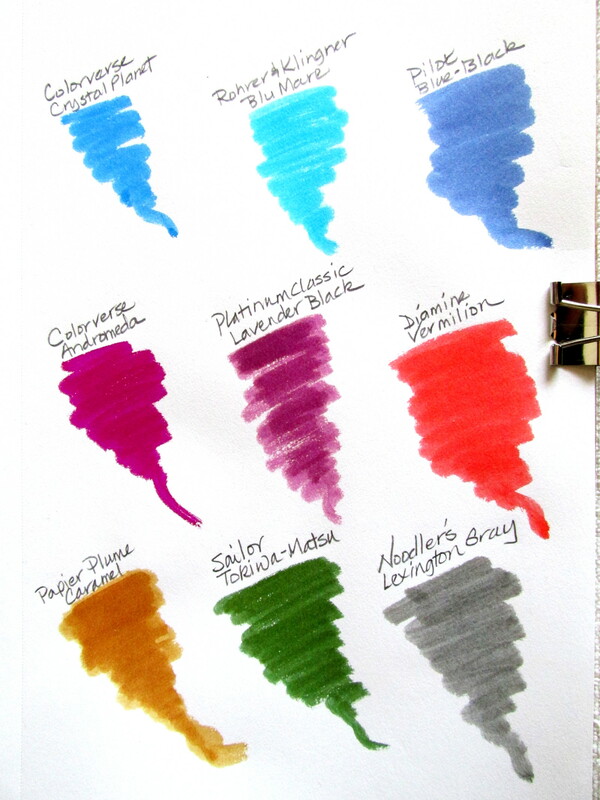 If they were accessible, Sailor Peach Pink and J. Herbin Orange Indien would have been included. Colorverse Crystal Planet and Andromeda were sent by Pen Chalet while Papier Plume Caramel came from Anderson Pens. All are new to my collection and proving to be worthy additions. The flowers from a watercolor video prompted my December ink rotation and prove that inspiration can be found anywhere. The colors might suggest summer, but they are making me happy today. And that is what counts. Diamine Eau de Nile, Sailor Tokiwa-matsu, Rohrer & Klingner Alt-Goldgrun, Diamine Violet, Diamine Tyrian Purple, Noodler’s Black Swan in English Roses, J. Herbin Terre de Feu, Diamine Vermilion, and Stipula Calamo Sapphron. 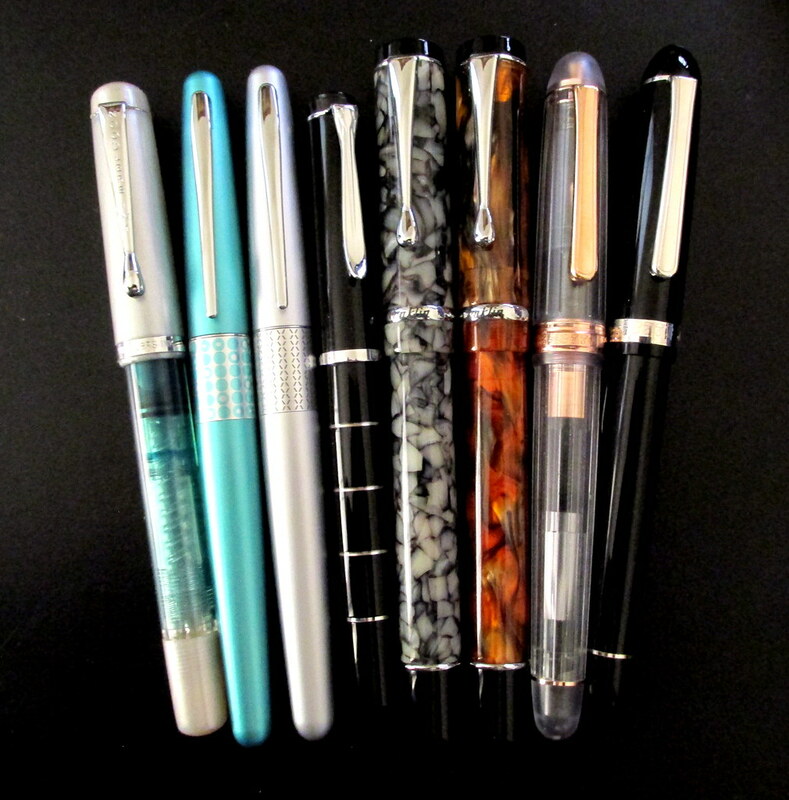 The pens include a Pelikan M215, Platinum #3776 music nib, Platinum Century Nice, TWSBI 580, Pilot Metropolitan, Platinum Plaisir and a Noodler’s 1820 Essex. 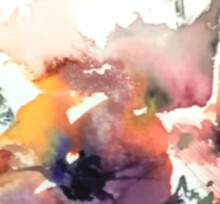 Watercolor video by Andrew Geeson. Here are some of these items at Amazon. It’s that time of year, at least by the calendar, when cooler temps, crunchy leaves and anything made with pumpkins inspire a palette for the season. 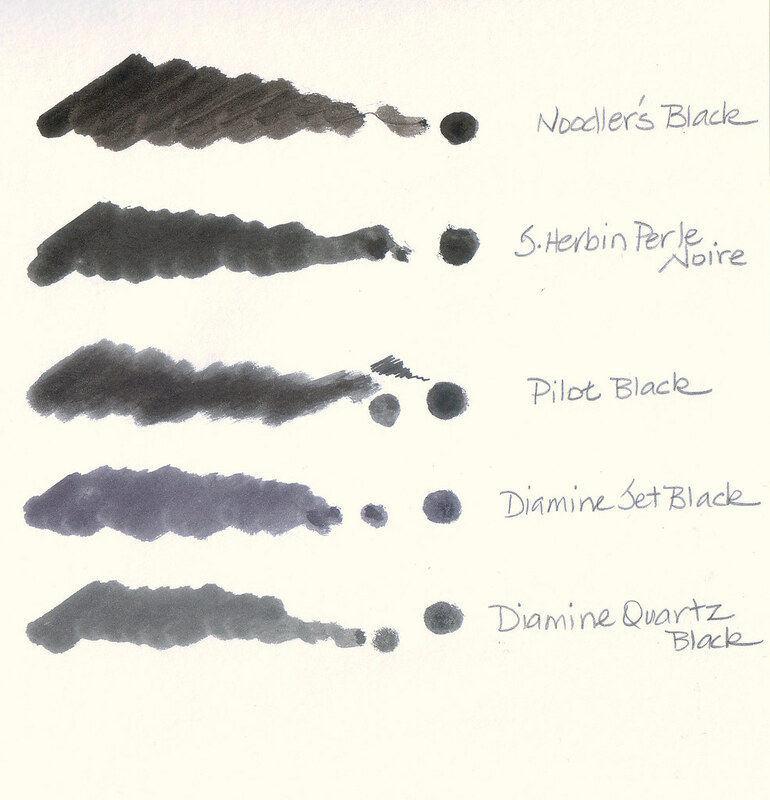 Old favorites were due for attention, but some new inks deserved a nod as well. 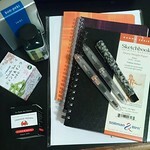 During October, I often load a black pen with orange ink. It’s a small treat. Inks and pens should be fun, no? 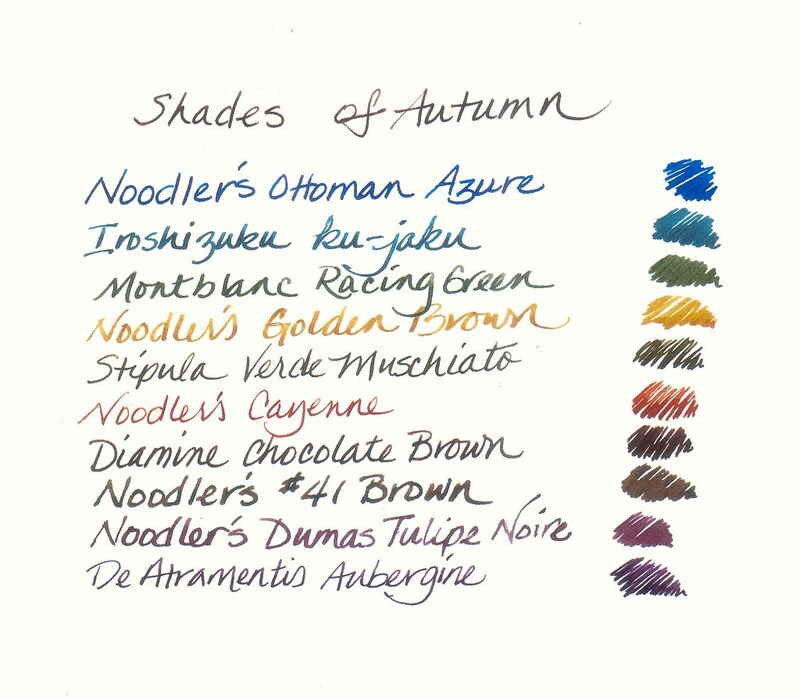 Which inks do you use for a little autumn color? Reviews and comments on the inks: Tokiwa-matsu, 54th Mass, syo-ro, Alt-goldgrun, Ambre de Birmanie, Orange Indien, Terre de Feu, Verde Muschiato. 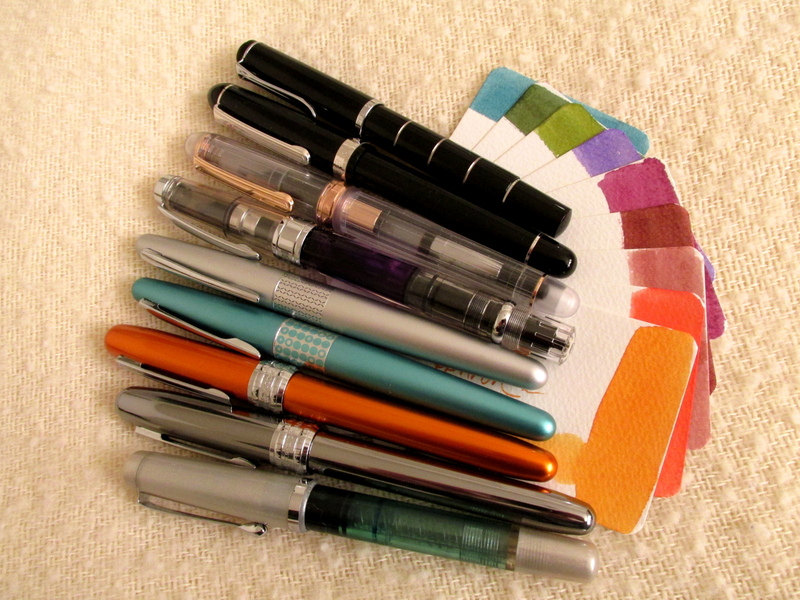 Pen reviews and comments: Essex Konrad, Pilot Metro, Duragraph, Century Nice, #3776 MU. Where to buy: Tokiwa-matsu, 54th Mass, syo-ro, Alt-goldgrun, Ambre de Birmanie, Orange Indien, Terre de Feu, Verde Muschiato, Pilot Metro, Pelikan M215, Duragraph, Century Nice, #3776 MU. 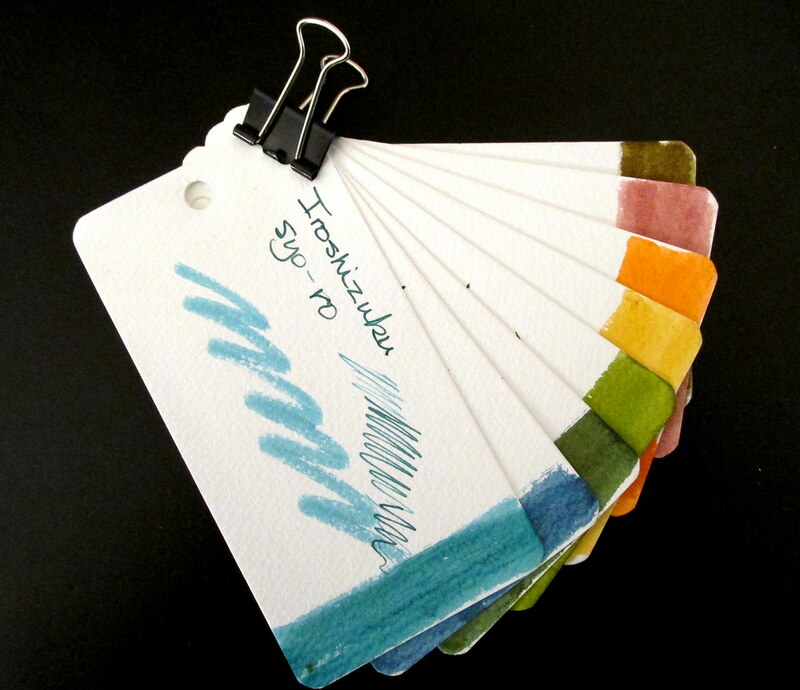 Recently, Luxury Brands released several Noodler’s inks to the U.S. market that were previously exclusive to other countries. The names may be a bit exotic, but the colors are vivid and varied. Rachmaninoff is a very bright, intense pink. Grab your sunglasses to look at this one. Empire Red is a toned down blue-red. When a bright red would overpower, this more subtle color will do. Mata Hari’s Cordial is a dark mid-range purple. It says purple, but doesn’t shout it. Upper Ganges Blue leans teal though not overly so and could be considered all-purpose. Socrates is a violet that has a slightly dusky quality to it. Not muted exactly, but a step removed from bright. My Noodler’s Standard Flex pen is courting Mata Hari and Socrates for its next fill so it must be in the mood for purple. If it were up to me, Upper Ganges would get the call, but sometimes it’s best to let the pen do the choosing. Keeps them happy and productive when the pen and ink don’t fight each other. 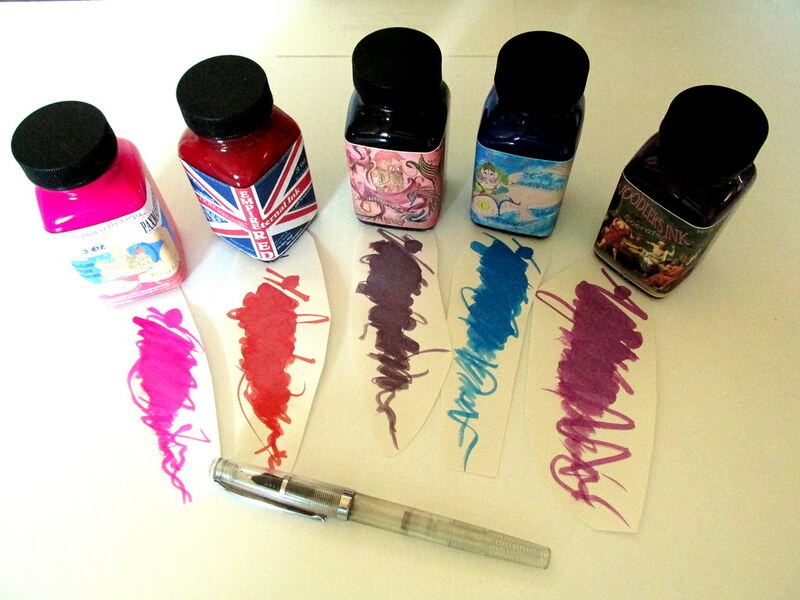 Currently, Pen Chalet offers all of these inks except Empire Red. So that would be a good place to start if these colors intrigue you. You are currently browsing the archives for the Ink Comparisons category.